The borough of Rutherford, New Jersey, offers something for everyone. If you fancy the arts, you can attend the Rivioli Theatre. You can attend the annual Labor Day street fair. Or you can simply spend a day at the Rutherford Memorial Park. Indeed, with all that it has to offer, Rutherford proves to be a wonderful place to live and raise a family in. And should you reside herein, you might want to make your home every bit as beautiful and impressive as the borough itself. And a great way to do that is to install quality tile and marble in your home. If you are in the market for top-quality marble cut to fit any needs you have for it, then don’t hesitate to call on Rutherford’s marble and tile experts at Kennedy Tile & Marble Inc.! MARBLE TILE IN RUTHERFORD, NJ. 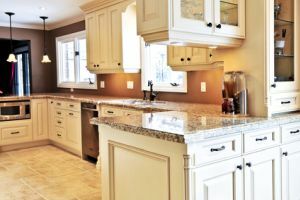 Marble tile is a great material for many different purposes around your home: tile flooring, backsplashes, countertops. And with its beauty and durability, you’ll be able enjoy a stunning home for many years to come! To enjoy the most of this beauty and durability, you need to have your marble supplied by a reliable vendor. And if you live in Rutherford, then that vendor is none other than the experienced pros at Kennedy Tile & Marble Inc.! CUSTOM STONE FABRICATION IN RUTHERFORD, NJ. You have many options in materials when it comes to your tiling needs: limestone, marble, slate, etc. Of course, those materials do not naturally fit your needs with regard to their dimensions. No, for that, you need to call on an experienced pro to fabricate — or cut — them to your specific needs. And for Rutherford residents, that pro should be none other than Kennedy Tile & Marble Inc.!